Kobo is developing a new system on their website that will estimate how long it would take to read an e-book, before you buy it. There is also plenty of other features being tested such as the total word count and keywords associated with that particular title. I honestly don’t know how relevant the keyword system will be, since its based on the metadata of the book. The new Kobo e-book description page is currently in beta, with no timeline on when it will get rolled out into international markets. Kobo is also in the process of emailing users and updating them on their reading habits. This includes the number of books you have read and how many page turns have been recorded. It compares your statistics vs the month prior. Some users are reporting this might be an invasion of privacy since they never signed up to receive these types of emails. Luckily there is an unsubscribe feature at the bottom, where allows you to opt out of these reports. Why do Kobo and Kindle both assume that the average reader can read 75 pages per hour? I don’t know how speed reading can be enjoyable. 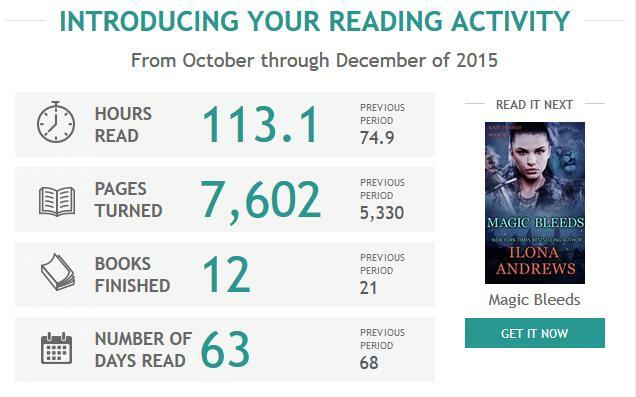 This seems cool, but I wish Kobo used data from non kepub files. I can’t be bothered converting my books to that each time, so I usually just read epubs. Before anyone asks, I don’t manage my books on calibre, I just drag and drop, not very sophisticate but it works; Calibre always seems so slow on my computer.